Introduction: What are Circadian Rhythms? 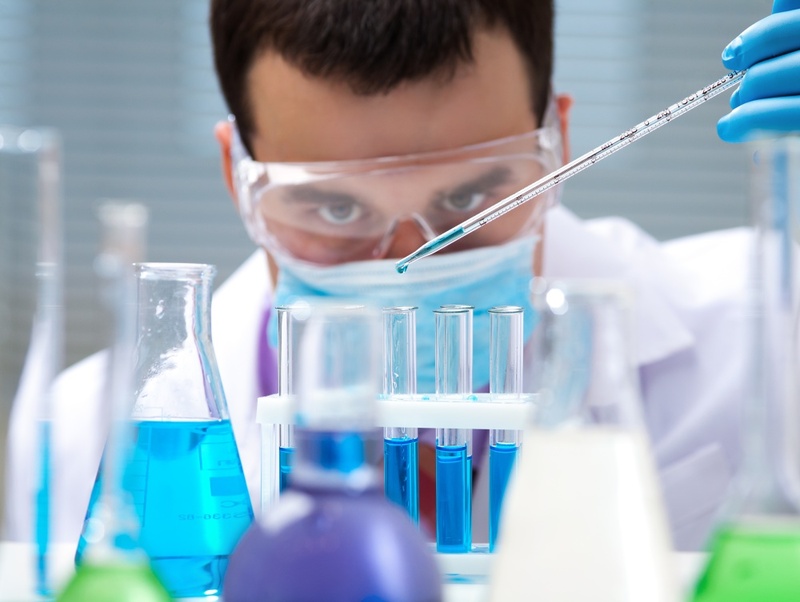 Listen to different cardiovascular investigators present their research and meet faculty! More info to come soon! 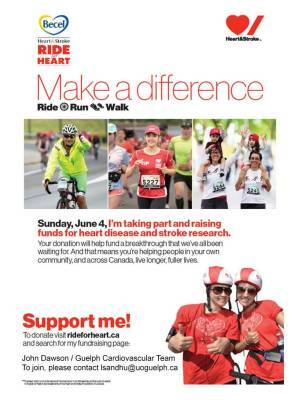 Come on out to represent the CCVI at the Ride for Heart on Sunday June 4 and raise funds for Heart and Stroke research! Circadian medicine is a relatively new field of study that encompasses the physiology of all organ systems and therapeutic interventions for common human diseases. However, before we discuss the inner workings of circadian medicine, we must first understand the basic premise of circadian rhythms. The term circadian, latin for "about one day", is used to describe 24 hr oscillations in our behaviour and physiology based on changes in the environment such as light. Circadian rhythms are generated by the expression of certain genes in the cells of our central nervous system (CNS) and peripheral nervous system (PNS) known as the core clock genes. In mammals, the circadian system is organized in a hierarchy and at the top lies our central clock. The central clock is found in the CNS in a region known as the suprachiasmatic nucleus (often abbreviated as SCN). The SCN, in response to external changes such as light , controls the function of the peripheral clock cells to ensure that a form of rhymicity is maintained. The clocks of both the SCN and the peripheral cells contain the same types of genes that are expressed based on the 24 hr clock. These core clock genes include BMAL1 and CLOCK, Period (Per1, Per2, Per3) and Cryptochrome (Cry1, Cry2). This may sound like a lot of jargon but hardly will you find a field of medicine without its fair share. Basically, these are specific genes that are found in our clock cells and control the circadian system. These genes are crucial to the proper functioning of our system and thus disruption or changes to them (mutations) have consequences for human health. Circadian rhythms play an important role in regulating the physiology of our everyday lives. From coordinating our sleep-wake cycles to integrating light cues into meaningful cellular information, the circadian system ensures proper functioning of our bodies. For example, waking up in the morning is mediated by light cues from the sun, which then increases our metabolic rate to peak levels during the day to sustain maximal activity. As the light cues begin to diminish due to nightfall, increasing melatonin levels let us sleep and replenish our energy for the next day of activities. Unfortunately, many of the daily activities of modern society disrupt our circadian rhythms which leads to disease. The disruption of circadian rhythms have been associated with diseases of the cardiovascular and metabolic nature. There is also evidence of various cancers being linked to circadian dissynchrony. Chronotherapy is an emerging field of medicine that uses circadian rhythms to create perfectly timed therapies that target rhythmic systems. A classic example is the administeration of drugs at particular times in the day to disrupt or stimulate a circadian system. 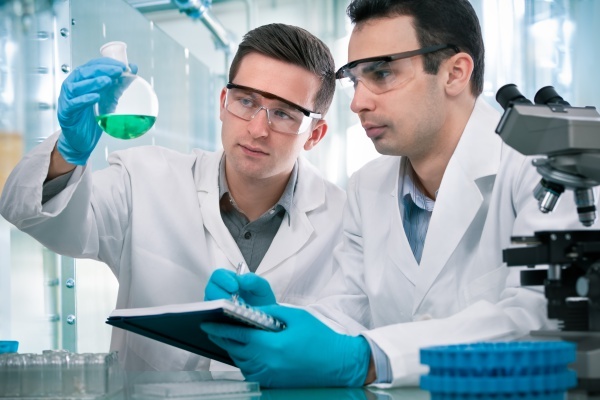 Specifically, in the Martino Lab, we focus on the cardiovascular applications of chronobiology, with an emphasis on the circadian pattern of cardiovascular diseases.